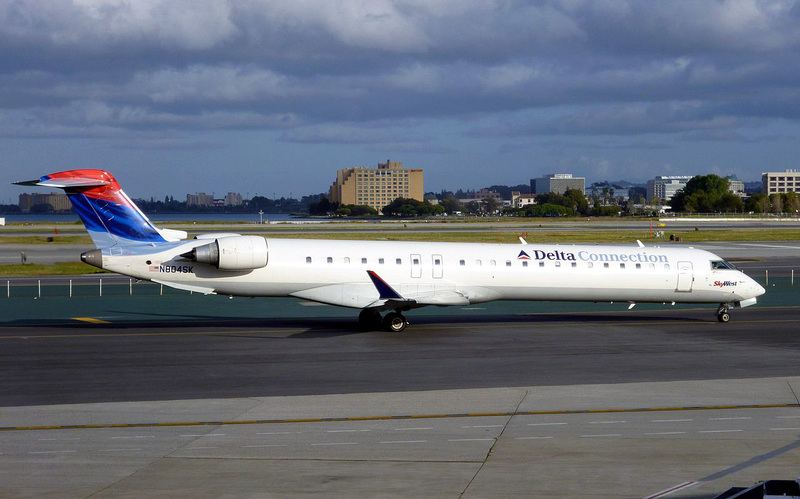 A new Bombardier CRJ900 for sale will usually have a price that is below / well below the advertised list price of the aircraft. The list price for a new Bombardier CRJ900 for sale from Bombardier is $42 million dollars (USD). As explained on our CRJ900 price page, the list price for new CRJ900s for sale is usually higher then the actual price that companies pay. A used Bombardier CRJ900 for sale has been selling for around $9 million dollars to $25 million dollars ($9,000,000 to $25,000,000 USD). If you have a Bombardier CRJ900 for sale, contact our aviation resources team to learn how you can list it here at no cost. Above Bombardier CRJ900 For Sale page photo by Stickpen on Wikimedia Commons. A Bombardier CRJ900 for sale is also called a Bombardier CRJ9 for sale, Bombardier CR9 for sale, Bombardier CL-600-2D24 for sale, Canadair CL-600-2D24 for sale or a Canadair Regional Jet 900 for sale.